Deanna Eden is a recent arrival to Bellingham after falling in love with the city while touring here. 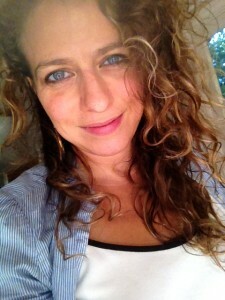 She is a multi-award-winning theater/comedy artist and teacher, known internationally for her work’s unique blend of audience connection, improvisation and physical comedy. Deanna is passionate about three-dimensional performance: site-specific art that celebrates its audience and creates spontaneous community. Deanna has taught Performance, English literature and writing, Improvisation, Reading, Creative and Critical Writing, as well as Teaching Training, for 20 years! She has taught full-time in a New York City preparatory school, led summer enrichment programs, tutored individual kids in Reading and Writing, led comedy workshops in Elder communities, and taught theatre workshops around the world. She is proud to be a teacher for life. Deanna believes in fostering a safe space in which students feel individually seen, and a variety of learning styles are activated. There are many paradoxes in teaching: one must be energized but not overbearing, keep class moving but leave space for discoveries, have a clear lesson plan and also flexibility for what is needed in the moment. Deanna loves the arts of teaching and curriculum development, and considers herself lucky to be able to do what she loves. In a world of words and rules, using our bodies and hearts to express ourselves imaginatively is both necessary and therapeutic. It is amazing to find our unique voice, and to have our voice celebrated. Learning how to experience a sense of freedom, and how to use our freedom as a tool of communication, is truly revolutionary for all ages and levels. Improv Workshop: Improvisational theater frees the students’ creativity and allows them to play in a learning environment. Beginning with physical warmups, students use different body parts to create shapes and to express emotion. They work in groups to create scenes and images: terrific cooperation and group learning opportunities. By learning the structures and games of improvisation, they create scenes and comedy together. Improvisation is both collaborative and solo—they strengthen their own creative confidence and experience success creating with others. They practice demonstrating their skills in front of one another, and learn how to be great audience members too. Plays in Poses: What is a scene? What are the building blocks of any scene? What are the building blocks of any character? In this workshop, we will be activating both the writer’s tool (story structure) and the actor’s instrument (the body). 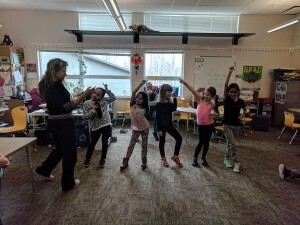 Students will be guided to find joy and energy in a frozen pose. Students will then learn what a dynamic pose is and how it can embody a feeling. Students will explore physical expression as a tool for interpreting literature and/or writing/creating original stories. We will go over story structure and discover how simply a clear, coherent story can be communicated by the performer’s strong physical choices. 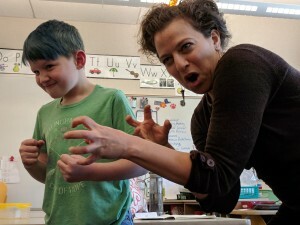 By creating a series of developing poses, and in partnership with others, students will create simple stories that reflect reading assignments and/or can be expanded upon in creative writing work and storytelling. Breathing and Creativity: The breath is the motor of the body, relaxing and centering us, as well as influencing how we move and feel. This course is designed to provide students a refreshing way to move their bodies, focus on their breathing and activate their creativity. Given sound samples, pictures and short verbal cues, students will be asked to interpret these cues with their breath and body movements in space. Students will also be paired up for the purpose of giving partners movement inspiration. There will be presentations and brief discussions of how audience members interpret what they see, as well as a brief guided meditation cool-down to get students ready for their next activity. Styles and Genres: The style of a story is just as important as the story itself. First, we will look at the building blocks of any story (setting, character, want, conflict, resolution). Then, we will examine examples of different genres (fairy tale, fantasy, science fiction, etc.). We will learn about the elements of style and the qualities that make up each genre. Working in groups, we will create and perform original stories working within a specific genre. Then we will discover how a simple play can be performed in a variety of genres, focusing on what aspects of a story change and what remains universal. Theater Without Walls – Site Specific and Roving Performance: Theater doesn’t have to stay in a theater! How can a specific location inspire a performance? What kind of performance can rove (move from place to place)? Students will investigate a variety of indoor/outdoor chosen spaces, examining the sights and sounds, the feeling inspired by the space, the characters that could exist there. We will explore how a chosen space has its own story, and we will create short scenes and monologues inspired by spaces we choose. We will also explore what it means to create a character that could travel through space—what defines roving theater? How can the performance have a journey? We will celebrate the idea that theater can happen anywhere, and we will load up our personal toolboxes for creating theater without walls.